A few months ago, my eldest son had a school assignment that became happily all-consuming. He had to design and build a scaled down eco-house from cardboard and other recycled materials. It’s said that everyone has a creative outlet, you just have to find it – model building is clearly his thing. Not only did he delight in the details but he spent many hours absorbed in the task and was so proud of the results. 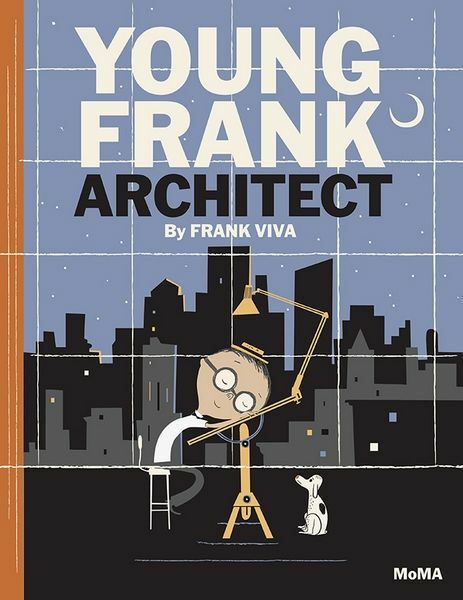 Young Frank, the main character in the story Young Frank, Architect by Frank Viva, is sure he has found his creative outlet – architecture. He sees design possibilities in everything from toilet rolls to stacks of books. 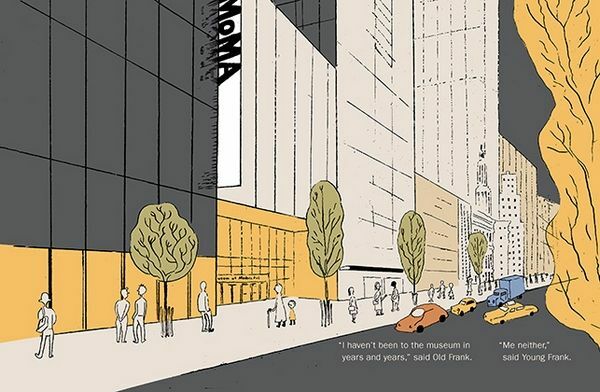 However his grandfather, Old Frank (also an architect), is not so sure – he thinks Young Frank’s designs are outlandish. Together, they take a trip to New York’s Museum of Modern Art to find out all they can about what it means to be a professional architect. With glimpses of the work of renowned architects such as Frank Gehry and Frank Lloyd Wright (prompting Young Frank to wonder if all architects are called Frank! ), the Franks make some surprising discoveries and at the end of the day, Young Frank feels a little older, and Old Frank feels a little younger – and a little wiser. There’s some lovely messages in this story, the most important being that we never stop learning and that there’s always room for innovation. Viva has created memorable characters in the Franks, brought to life in a restrained but striking colour palette of shades of grey, olive and orange and cream. Look out for a few notable pieces from MoMA’s architecture and design collection and of course the Franks’ sweet dog, Eddie. 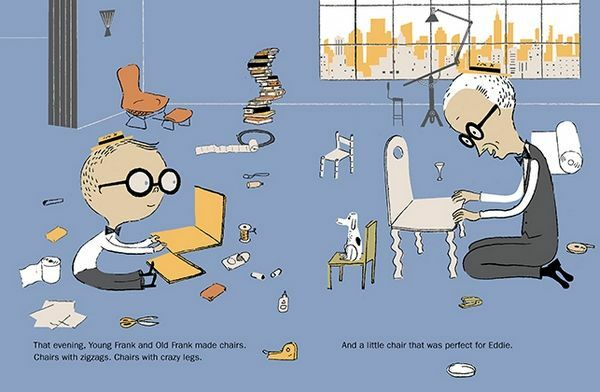 Young Frank, Architect is suitable for children aged three years and over and is available online at Book Depository, with free delivery to Australia. 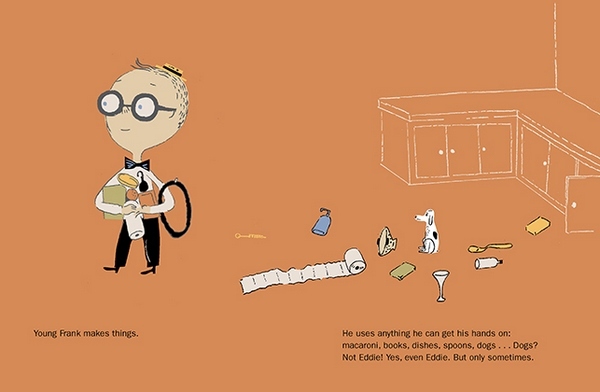 For more inspiring architecture stories, see our previous posts on Iggy Peck, Architect, Sky High and The Three Little Pigs – An Architectural Tale.